What a fabulous prompt this week from Tara! I’ve had great fun going through my photos to find a suitably funny one. This was taken at my uncle’s retirement party. He started work for his company as soon as he left the army in the 1970s and stayed there for almost 40 years before taking early retirement. He decided to have a 70’s themed party to mark his retirement, it was suggested that some of his colleagues had never left their beloved decade behind! It was a great night, everyone dressed up and really entered into the spirit of it. 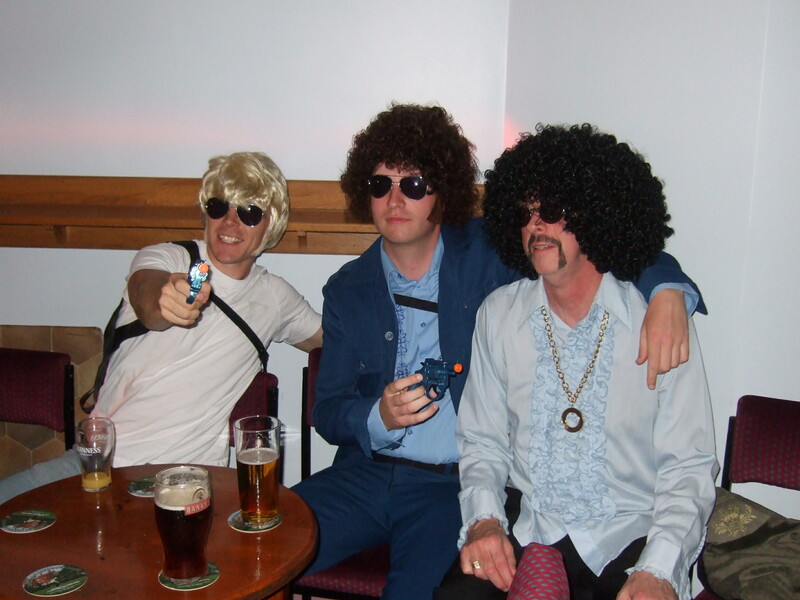 My uncle is on the right of the picture, Starsky and Hutch are being played by my cousin (Starsky) and his best mate (Hutch). At least I think that’s the right way round… I never can remember. Previous Post No time for anniversaries, there’s writing to be done. Next Post Book Review : “Blacklands” by Belinda Bauer.